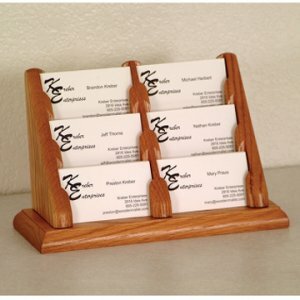 Wooden Mallet's solid oak countertop business card holders are an attractive way to display multiple cards in an organized fashion. 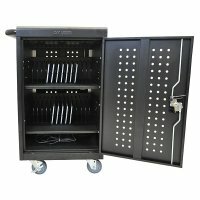 These racks work well to present business cards in an office setting or use them for gift cards at point of sale. Innovative tiered display offers a full view of each pocket as cards appear to float between uprights. Made in the USA.